It is Thanksgiving Day in the United States today. Thoughts turn to traditions and thankfulness, food and football (well, at least for some of us). For many of us, Thanksgiving Day is a chance to write (and maybe catch up on our word counts for NaNoWriMo). We’d like to know what you, as a writer, are thankful for. What are your characters thankful for? 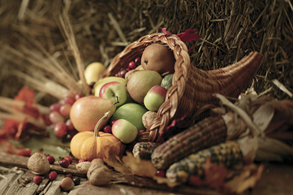 All of us at Today’s Author wish you and yours a happy, safe and healthy Thanksgiving and holiday season. This entry was posted in Today's Author and tagged holidays, thankfullness, Thanksgiving, writing. Bookmark the permalink.